The start of a new year is always a good time to take stock, to remember the highs of the year just gone and to log a few lessons learned. More importantly, it's is the time to refocus on our tasks for the coming 12 months, and in DIO we have a lot to look forward to. Only a year ago we were preparing for a big change in how we work. In April 2018, core infrastructure spending decisions were placed on the Front Line Commands. While this change means that they are now far more engaged in the planning and timely delivery of infrastructure build and maintenance, it is DIO that has seen the most significant changes. DIO started last year as a landlord organisation, we are now a very large and diverse professional estates business. We have a comprehensive programme planning function, a much stronger regional service delivery capability, and a growing reputation for managing the Defence Estate in an efficient and effective manner. Add to that the changes we are making to work more effectively with our contractors and consultants - a sector that is itself working through significant challenges - and you can easily see the scale of work for the coming year. In 2019 our areas of focus include improving our ability to advise our main customers - building a really effective Asset Management System to enable informed decision-making on investment in the built estate. Advancing our ability to deliver - broadening our contractor supplier base and increasing both the pace and confidence in timely, good value delivery. We are also focusing on our management forecasting and reporting capability - getting that right is central to building our customers’ confidence that DIO really is working to support them. As if that isn’t enough, we are determined to do a lot more to make the business operate much better - to equip our people with the knowledge, data and tools to do an excellent job; to become much more open to current and potential suppliers and to be much easier to do business with. We are working our way through a really exciting and ambitious programme of change, and we are perhaps a third of the way through. We have changed the fundamental business model, we have made the organisational and structural changes to support that business model. Now we have to change how we work -smarter and more effectively. That’s probably the toughest part of all, but with our customers, with our suppliers, and above all, with a great group of staff, we have a plan and we have the ingredients for success. We’ll also continue to support major infrastructure programmes which are crucial to enabling Defence capability. 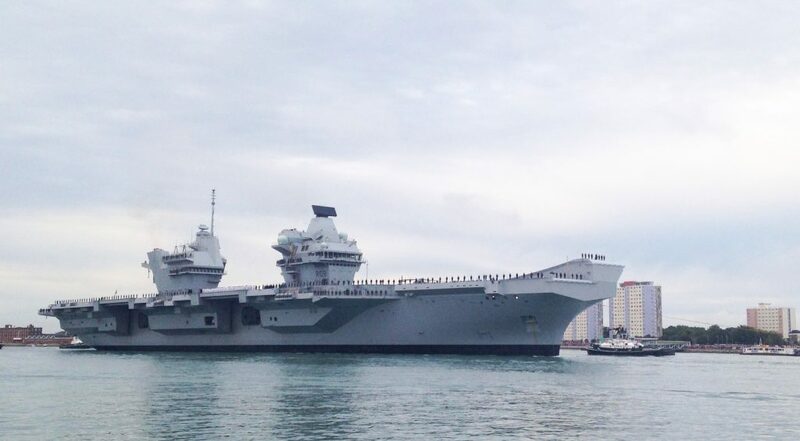 Those of you who have visited this blog before will be familiar with our work to ready HMNB Portsmouth for the new Queen Elizabeth Class carriers. This carries on, as we make preparations for the arrival of the second ship, the HMS Prince of Wales. Our work to provide new facilities at RAF Marham for F-35 multi-role combat jets and at RAF Lakenheath to prepare the base for US F-35s also remain important priorities. The year ahead appears to be a very big challenge and 2019 is no exception. 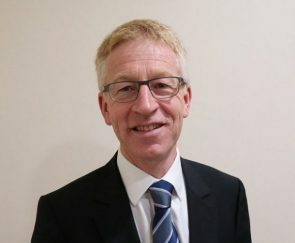 Although I somehow suspect that it will be hugely enjoyable, and that this time next year we will look back on another year of very positive change for DIO and our customers as we strive to deliver a Better Defence Estate, to provide a Better Customer Service; and to make DIO a much Better Business.